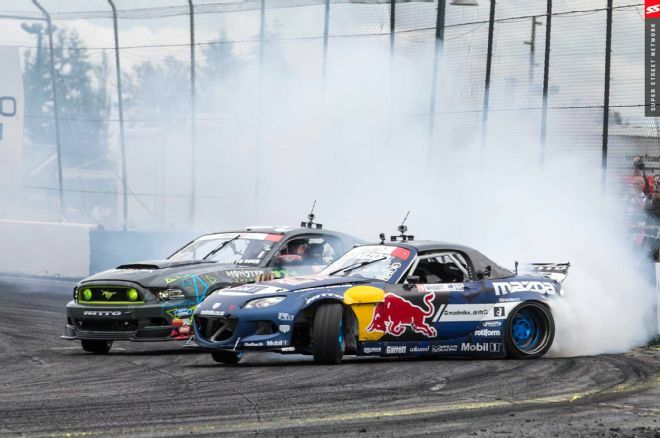 Mad Mike Whiddet and Vaughn Gittin Jr happen to be some of the biggest and most well known names in the motorsport of Drifting. Although they may drive cars with different team liveries, WHiddet driving for Red Bull and Gittin Jr for Monster, they are both using the same Nitto Tires to put the power down for competitions. They each have a deep seeded connection to their cars, probably because of the amount of time they spend behind the wheel. But also because they each had a major hand in the development and build processes. Whiddet is responsible for the baddest Mazda Miata in the world known as “RADBUL” thanks to a Winkle Rotary engine that was made famous in cars like the RX-7. The main difference is that the RX-7 engine only used 2 rotors, where as the engine in Whiddet’s Miata had 4 which essentially means double the horsepower. The horsepower can vary depending on the amount of boost sent through the massive turbos, but it can easily run in the 1200 hp range without problems. 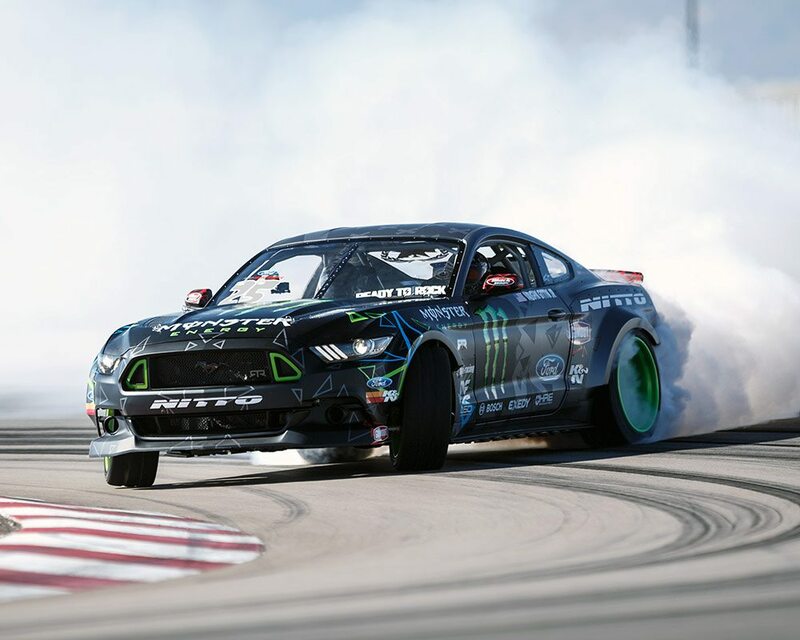 Gittin Jr uses a Ford Mustang that was built and tuned by RTR, a Mustang tuning company that Gittin himself started. Under the hood is a Roush-Yates 436 cubic inch Ford Performance engine that even thought its naturally aspirated, still produces over 900 hp. Nitto Tires released a video of these two superstars breaking down what it means to be a gearhead. The passion one can have for a car or truck actually has a scientific term apparently, and that’s “Anthropomorphic”. How about that for a word of the day. 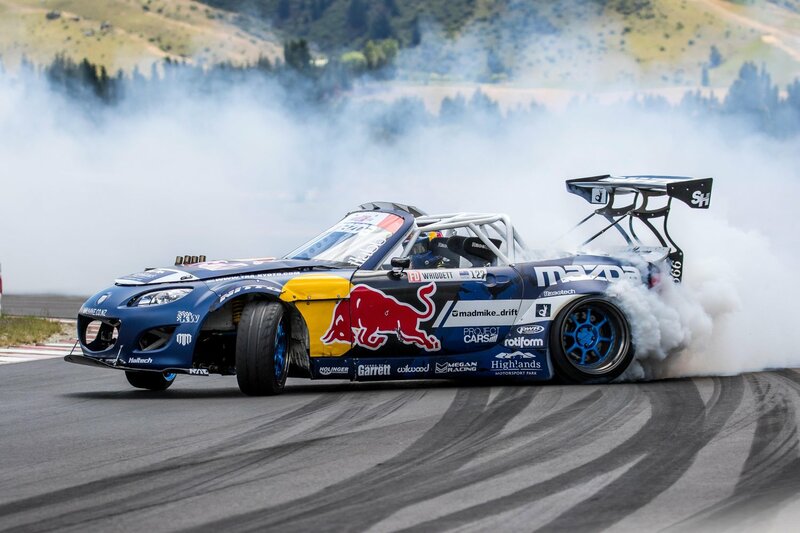 Drifting has never been high up on our bucket list of things to do in the Motorsports world. But the more we see these incredibly powerful cars going sideways into a turn at over 100 mph with a plume of smoke coming out the back end we are starting to reconsider.